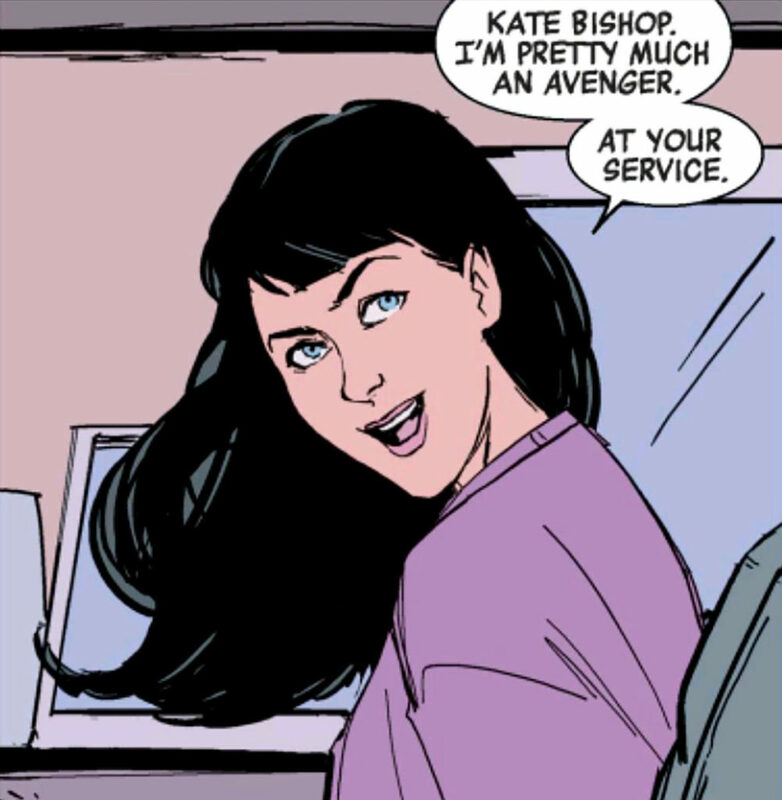 Well, yes, this isn’t so much a suggestion given that we know Kate Bishop is going to be a part of this Disney+ series. What’s important, particular to her fans, is to what extent? 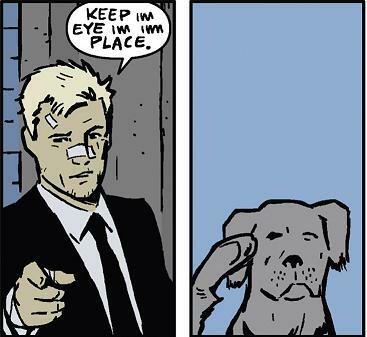 ; the trades announced the show with the premise that it will feature Barton passing the Hawkeye mantle for good onto his protege. 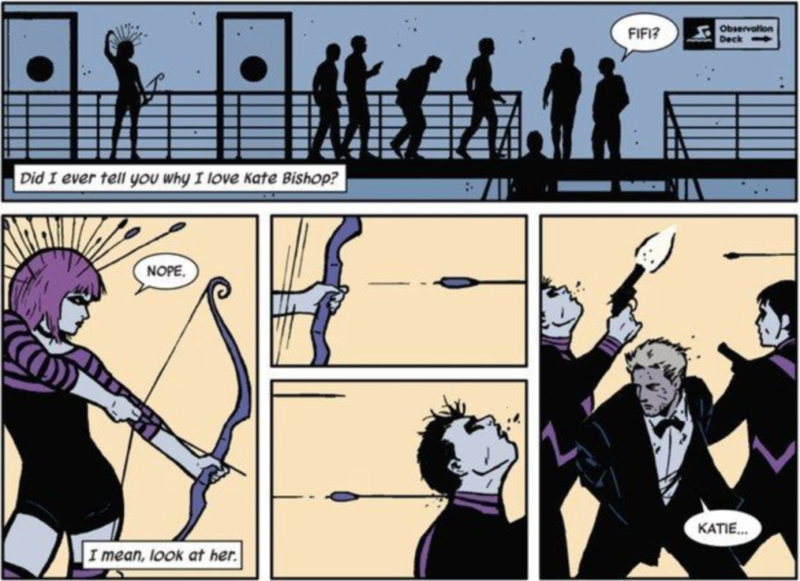 Meanwhile, io9 described the show as “Kate Bishop centered,” which implies that perhaps this limited series arc will be her story as much, or even more so, than Barton’s. 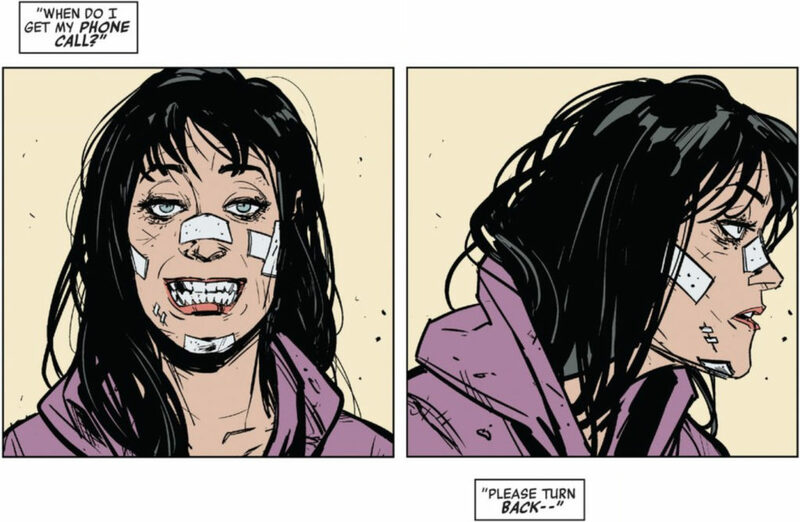 We’re here to advocate for the notion that, you’re darn right, it should be; Kate has been a captivating character for long before the Fraction run. 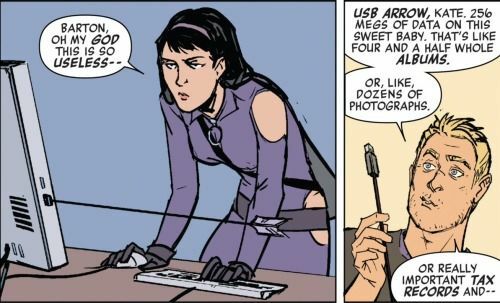 Around the same time, she was a key component in the spark of Kieron Gillen and Jamie McKelvie’s Young Avengers run, and owned the section of Fraction’s run where Kate ran off to LA to be a P.I. (now drawn by Annie Wu who gave her a cavalcade of amazing faces!) 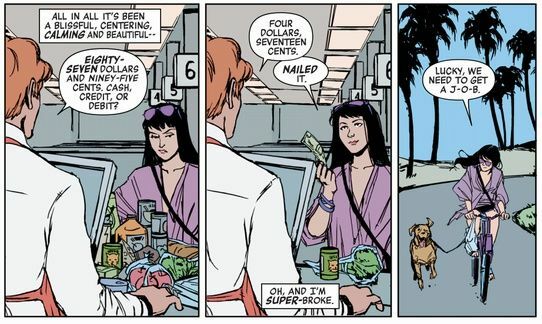 Her cheerful determination to get into “good trouble” has continued on through Kelly Thompson’s outstanding Hawkeye book in which she was the star, plus her subsequent West Coast Avengers title. 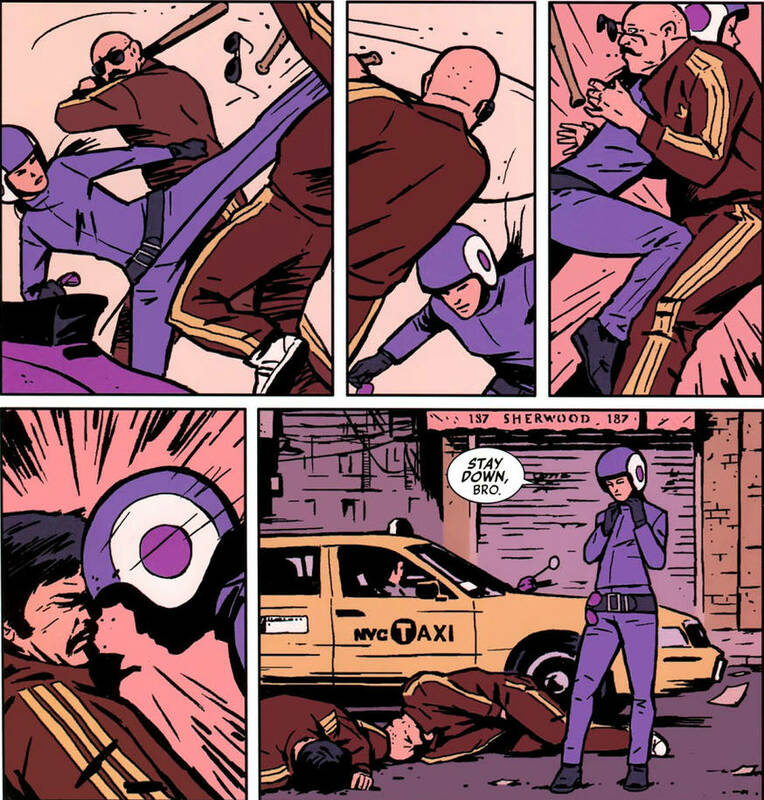 She’s absolutely devastating with that bow, has as many tricks up her sleeve as Clint if not more, and is better than no one at reminding her mentor that if you’re going to put yourself through the proverbial meat grinder, it better be for the right reasons. 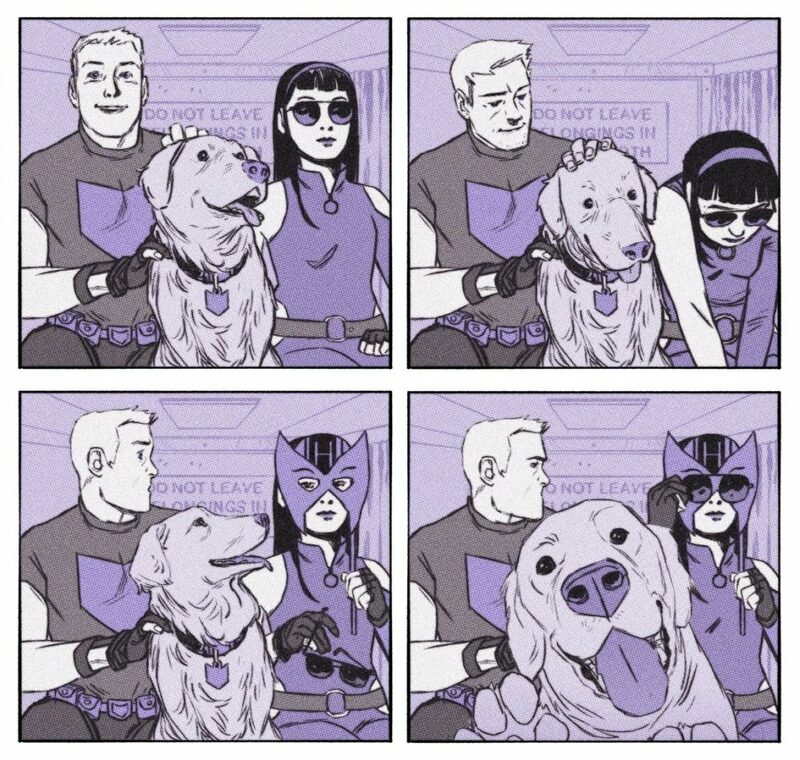 She’s at least a co-lead, Disney+. Do right by this hand-off, and cast her well! 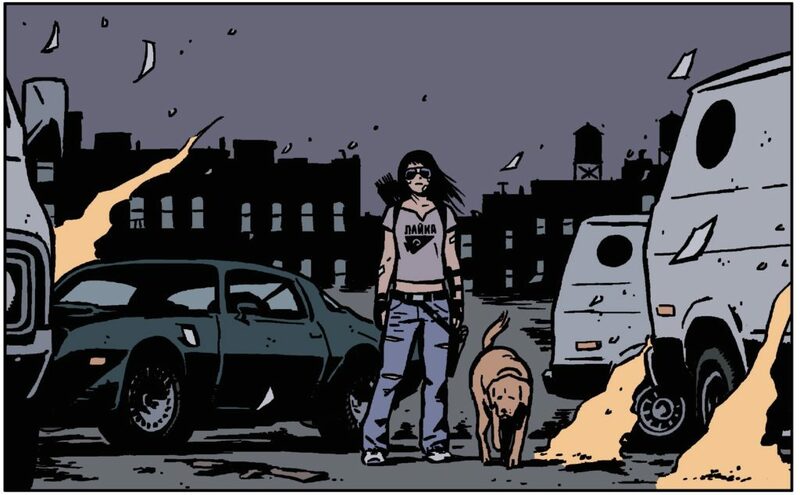 Rock star lead players and awesome fan-favorite support are both great, but a truly memorable comic can soar on the backs of characters who populate the periphery. Those supporting players who might only ever exist within this one narrative, but who remind you that you’re reading a classic. 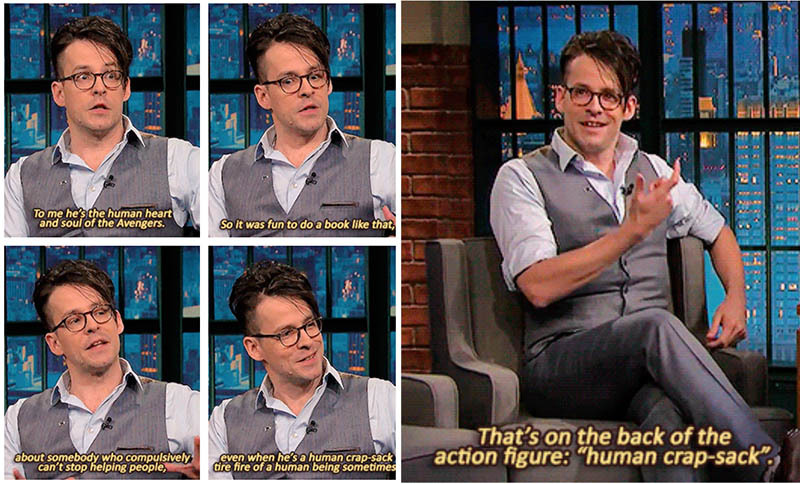 The same rule of thumb extends to guest stars on television (heck, there are even Emmy categories for that! 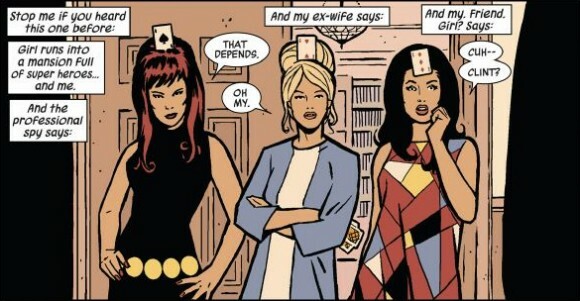 ), so we’re really hoping that the Hawkeye series delivers with new faces; Fraction’s comic definitely soared in this regard, with thoroughly entertaining already-in-canon appearances by everyone from Clint’s older brother Barney (in a very heart-wrenching family drama side plot) to the nefarious villainess Madame Masque. 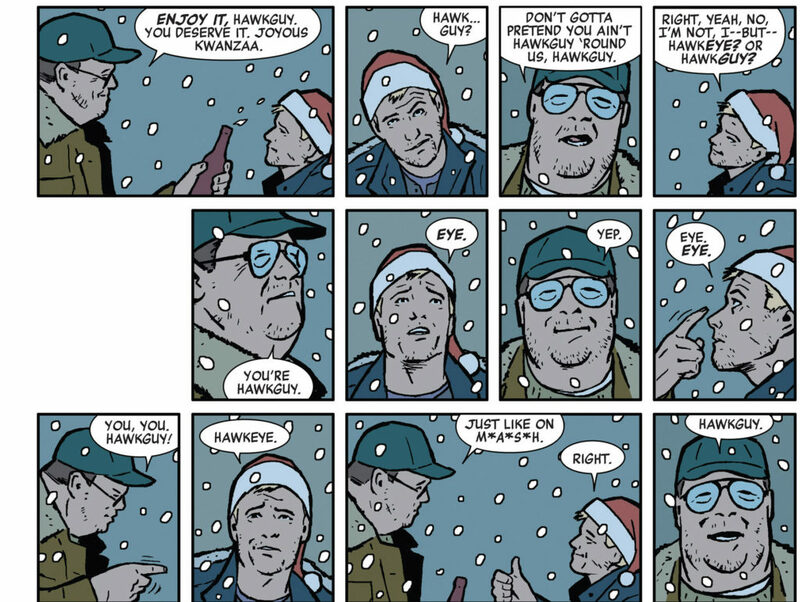 It’s the everyday Joes in this Hawkeye who really stand out, though; we certainly wouldn’t mind if the showrunners wanted to do a straight lift of “Grills,” Clint’s schlubby neighbor who runs the grill during the building’s community barbecues and who cheerfully insists on calling him “Hawkguy,” every damn time. Things don’t always go well for these supporting players, but the angst around their safety and happiness is part of what drives a great storyline. 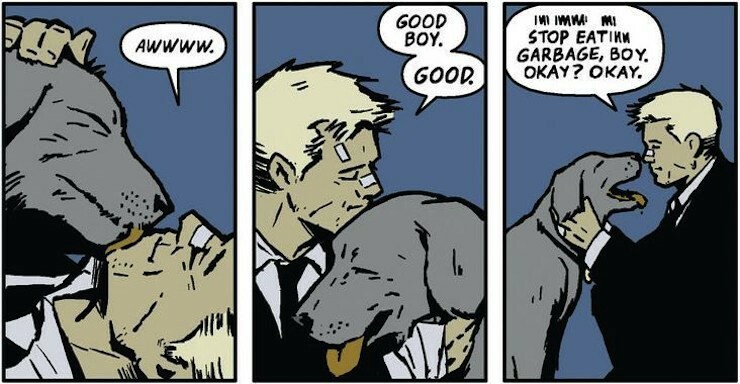 WHO IS A GOOD, GOOD BOY? Next article Tuesday Trivia: Avengers Part Two! Previous article Behind the Crate: Spotlight on Loot Crate's Anime Fans!